I had been wanting to do an X99 build for quite some time so, when I saw a deal on the 6850K, I decided to pull the trigger. I'm really happy with how this build turned out. I'm currently running Windows 10 Enterprise on it, but I'm going to repave it with Windows Server 2016 now that Visual Studio 2017 has been released. I wanted a 6-core CPU and I was able to get the 6850K on sale for $500. I've attempted some overclocking, but I'm running it at stock speeds at the moment. Overall, it's been a terrific processor and having the extra cores is great for running virtual machines (or containers). Just as I started to acquire the parts for my build, NZXT announced the X52/62 Kraken all-in-one coolers. I've used Corsair AIOs for my last couple of builds, but I figured I'd give the new X52 a try. It's really gorgeous, though there are quite a few cables to manage with it. The software is user-friendly and, while it was initially a bit flaky, it's improved over time. It runs quiet and has no problems cooling the 6850K. The X99 TaiChi along with the white S340 Elite is really what inspired this build. I love the bold, high-contrast graphics on the Tai Chi. And, it was a really good value for a well featured X99 motherboard. My only complaint is that the M.2 slot doesn't seem to be delivering on the full performance potential of the 960 EVO. I'm getting about 2,000 MB/s reads and 1,600 MB/s writes whereas Samsung's specifications say I should be getting 3,200 and 1,900 respectively. I went for the white LED Corsair RAM to coordinate with the overall color scheme of my build. There isn't any way to control the lighting pattern, and it seems pretty random, but it looks good. I had a spare 850 EVO from a previous build, so I reused it in a newer build. It's a great drive, but I've pretty much transitioned to M.2 NVME drives for most of my storage needs. The older 2.5 inch SATA SSDs are handy for file history backups and other scratch-type data. It is nice that they support IEEE-1666 hardware encryption for BitLocker. Samsung announced their 960 series around the same time I was putting this build together, so I ordered a 960 EVO to use as the boot/application volume. I had used a 950 Pro NVME drive in a previous build so I had high expectations for this one. I'm not getting quite the performance I was hoping for, however - not sure if it's a motherboard issue or a drive issue. EVGA's super clocked 1080 seemed like a good match for my 3440x1440 LG panel. Over DisplayPort, it drives pretty much everything at a reasonably consistent 60 FPS. And, it runs pretty cool and quiet while doing so. I also appreciate the fact that it only needs a single power connector and is quite compact for the power it delivers. I loved the original S340 for being such an efficiently laid out ATX case. The "Elite" just adds more goodness to the mix. I considered holding out for a Phanteks P400 with tempered glass, but I really liked the color scheme of the matte white S340 Elite. I bought this panel when it was first launched and I have a bit of a love/hate relationship with it. While it's a beautiful panel, I have had a few issues with it. The first problem I had was that it would occasionally (very infrequently) scramble half of the image on the screen. I originally thought this was a problem with my GPU but noted that it also happened with a different GPU. Then, I realized that if I turned the monitor off and back on again, the problem would go away. The second problem I had was with the monitor going to sleep. When connected via HDMI, it would go to sleep fine, but would only run at 50 Hz. When connected via DisplayPort, it would run at 60 Hz but, when it should have gone to sleep, it would enter an endless loop of going into "power saving" mode briefly, then coming back on, then going back to sleep, etc., etc. I'm a tenkeyless guy who finds number pads worse than useless, so I was pretty excited to see a compact keyboard from Das Keyboard. This one has the blue Greetech switches, which are quite clicky and feel a bit heavier to me than the Cherry MX versions. Having a couple of USB ports is nice, though I would've preferred them to be on the edge of the keyboard that faces away from me rather than on the left-hand edge. A detachable USB cable would've been nice too. But the ruler did come in handy one day (underneath the keyboard is a magnetically attached ruler that doubles as a riser). I know that opinions on mice are super subjective, but I really like this mouse. It's a great size and shape, it has grippy rubber on the sides, the buttons feel great and it has programmable RGB lighting. 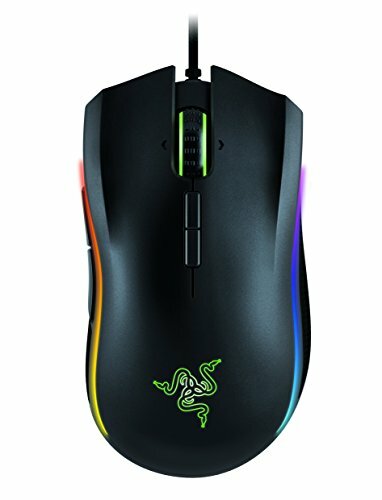 The only down-side is that Razer seems to update the software multiple times each week - which gets annoying because it requires user intervention. These are good, closed-back headphones. The 7.1 virtualization is a bit gimmicky but seems to work fine. You also have the option of connecting via a single headphone/mic connector if you want to use your own sound card (though there isn't much cable length to work with in that case). Also, the controller at the end of the USB cable (where you can adjust the volume and toggle the virtual surround effect) is upside down in my opinion. The mic is detachable, which is good because it definitely gets in the way when it's attached. I prefer Sennheiser's design where you can just flip the mic up to get it out of the way and, at the same time, mute it. But these were more affordable. Lots of room for expansion :-) And, fewer sticks of RAM should mean a little less heat and power draw. I thought the 6850K can run on quad-channel. I could be wrong though and not sure it would make any difference on performance. Most of the data I've seen suggests there isn't much real world performance difference, but I'll probably add another two sticks at some point. Dude this build is amazing! I don't know how I was the first person to comment on it. Sweeeet!!!!! This is truly amazing.. Very clean build!! 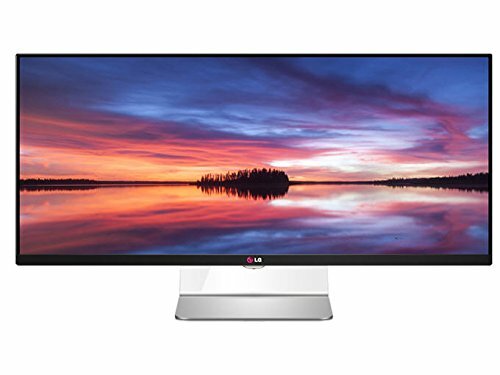 What mount are you using for that LG 34"? Not a very good one at the moment. It's a HumanScale M2 which isn't particularly sturdy for a monitor this large and heavy. I'm hoping to replace it with an ErgoTech Freedom Arm HD in the near future. Oh I see. Thanks I have been looking at get an ultrawide and replace the stand with a mount but haven't found one able to support that weight. Could it be the gas spring mechanism that is better suited for the weight? You just need to check the weight of your monitor (without stand) and the capacity of the arm you're considering. Monitor arms typically specify a weight range they can be adjusted for. For best results, the weight of your monitor should fall comfortably within that range.